Stable oxygen and hydrogen isotopic compositions (δ18O and δD) of plant xylem water and its potential water sources can provide new information for studying water sources, competitive interactions and water use patterns of plants. 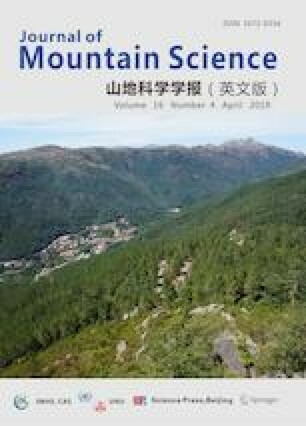 The contributions of different water sources to three plants, Hedysarum scoparium (HS), Caragana Korshinskii (CK) and Artemisia ordosica(AO), were investigated in the artificial sand-fixed vegetation of Shapotou, the southeastern margin of the Tengger Desert of northwestern China, based on meteorological data and δ18O and δD values of precipitation, groundwater, soil water and xylem water of HS, CK and AO. Our results indicated that water content throughout the soil profile and their competition balance for water uptake during different growth season. The results indicate that these sand-fixed plants have developed into a relatively stable stage and they are able to regulate their water use behavior as a response to the environmental conditions, which reinforces the effectiveness of plantation of native shrubs without irrigation in degraded areas. This research is supported by the National Science Foundation China (Grants No. 41771028 and 41571025), the Key Laboratory of Agricultural Water Resources, the Chinese Academy of Sciences (Grants No. KFKT201606) and the Shaanxi province natural science foundation research project (Grants No. 2016JM4006).